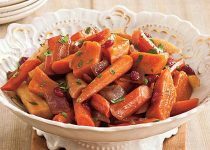 A twist on how to eat root vegetables in the winter months. Peel first 3 ingredients (potato, parsnips, carrots) into 1 1/2 " pieces. 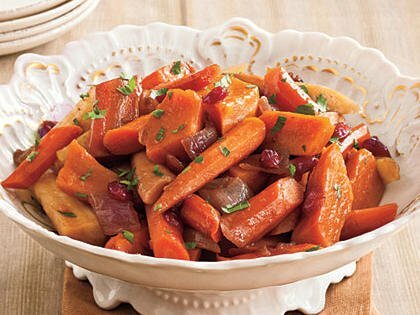 Combine parsnips, carrots, onions and cranberries in a lightly greased 6 quart slow cooker and layer sweet potatoes over top. Cover and cook on HIGH 4-5 hours or until vegetables are tender. Toss with parsley just before serving.